I've waved good bye to the winter months and now I'm waving hello to Spring, I can't wait for the lighter mornings and evenings! I know my skin will be thankful for the change in seasons. 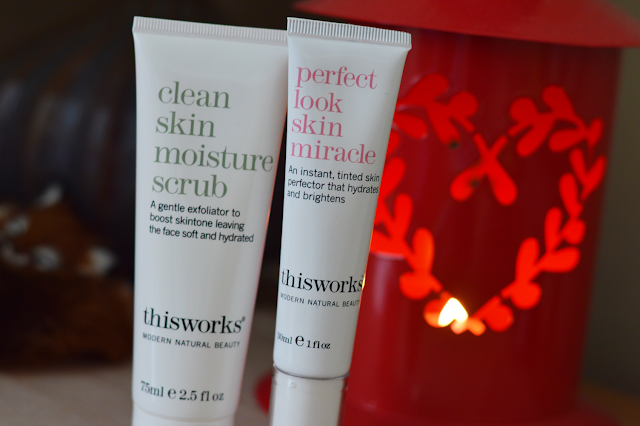 Two products which I've been using and enjoying are from thisworks. A brand which I've wanted to try for a while now after reading so many great reviews about the brand and their products. 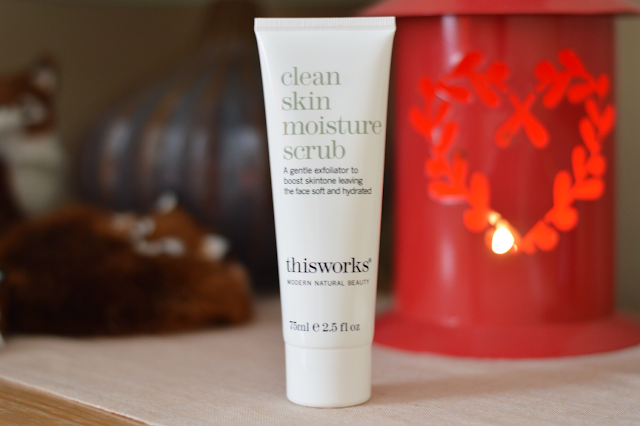 After using the Clean Skin Moisture Scrub I've been using a light moisturiser first and then applying the This Works Perfect Look Skin Miracle* (£28/30ml) over the top. It's a tinted moisturiser which gives and instant glow to the skin, great for days when you want to be fresh faced like I am trying to achieve. You can also use this as a prep before your makeup. 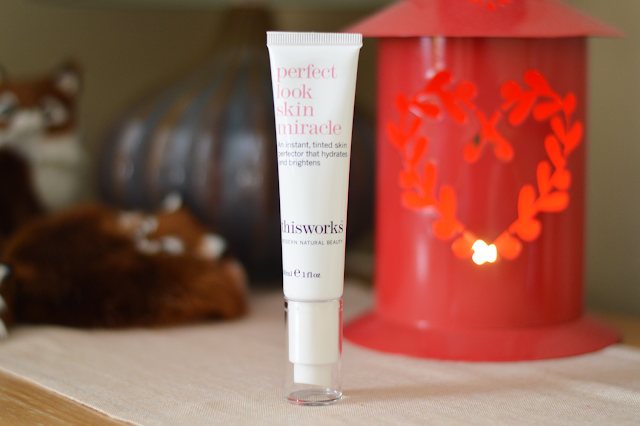 When I've used this I've noticed how my skin looks and feels healthier, a nice natural radiance which I'm sure we all long for this time of year. I think now Spring is here everyone will be focusing on their skin. I know I will be and am! I'm sure as the months start to warm up this will be enough for my skin by itself. Naturally effective Caramel and Mica make up the tint whilst a good dose of Vitamin C and anti-inflammatory Vitamin E work together to diminish the look of imperfections. That's not all, with the added benefit of Hyaluronic acid hydrates skin and fights against free radicals. The formulation is perfect for all skin types, it's not greasy and absorbs quickly into skin.